In a brief filed Thursday in the 1st U.S. District Court of Appeals, attorneys for Boston Marathon bomber Dzkhokhar Tsarnaev say his death sentence should be tossed. In a brief filed in the 1st U.S. District Court of Appeals, attorneys for Dzkhokhar Tsarnaev say his death sentence should be tossed. Attorneys say the judge's refusal to move the case out of Boston made it impossible for Tsarnaev to get a fair trial. Tsarnaev was sentenced to death for setting off the two bombs at the Boston Marathon finish line in April 2013, killing three spectators. Attorneys for Boston Marathon bomber Dzhokhar Tsarnaev told a federal appeals court Thursday that his convictions or death sentence should be tossed because the judge refused to move the case out of the city where the bombs exploded, making it impossible for him to get a fair trial. In a 500-page brief filed in the 1st U.S. District Court of Appeals, Tsarnaev's legal team outlined a host of other problems with his 2015 trial, including issues with jurors, certain testimony from surviving victims and the defense's inability to tell jurors about links between Tsarnaev's brother and an unsolved triple killing in 2011. The lawyers argued the trial court's "first fundamental error" was denying the defense's repeated requests to move the case out of a city that was "traumatized by the bombings, ordered to shelter in place during the manhunt, saturated by prejudicial publicity and united in the Boston Strong movement." "Tsarnaev stood accused of notorious crimes. The bombings were the subject of constant and widespread publicity, which included coverage of matters that would never be admitted at trial," the lawyers wrote. "Virtually every single prospective juror was familiar with that publicity, had been personally affected by the crimes and their aftermath, and thus had formed negative, entrenched preconceptions about Tsarnaev's guilt and the appropriate sentence," they said. 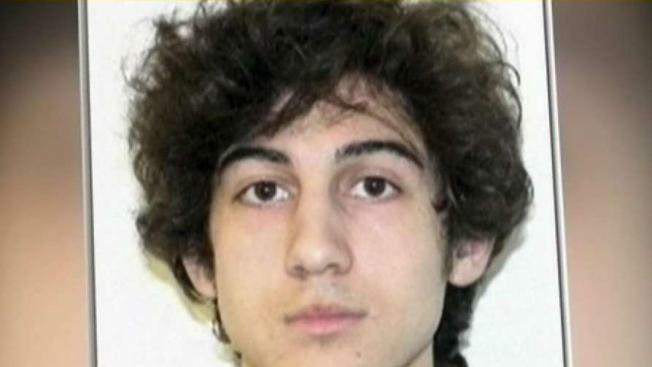 Attorneys for Boston Marathon bomber Dzhokhar Tsarnaev say they need more time for the appeal of his death sentence. Tsarnaev was sentenced to death just over two years after he and his brother set off two shrapnel-packed, pressure-cooker bombs near the Boston Marathon's finish line on April 15, 2013, killing three people and wounding more than 260. He was convicted of all 30 charges against him, including conspiracy and use of weapon of mass destruction, after a months-long trial in which his attorneys admitted he and his older brother carried out the attack. The defense had sought to portray Tsarnaev as an impressionable teenager who was lured by his brother into participating in the deadly plot. Tsarnaev's lawyers pushed several times to move the trial, arguing the intense media scrutiny and number of people touched by the bombings in Boston would taint the jury pool. But U.S. District Judge George O'Toole refused, saying he believed a fair and impartial jury in the city could be found. Among the dozens of other issues Tsarnaev's lawyers are raising on appeal include the judge's refusal to allow the defense to tell the jury about evidence tying Tamerlan to the killing of three people in the Boston suburb of Waltham in 2011. The defense sought to raise the issue of the killings to underscore their argument that Tsarnaev was under the influence of his more culpable older brother. Prosecutors have said a friend of Tamerlan, Ibragim Todashev, implicated him in the killings of three men whose bodies were found sprinkled with marijuana, their throats cut. Todashev was shot to death by an FBI agent after authorities said he charged another investigator with a pole while being questioned about the Tsarnaevs.